Seafood is recently becoming a favourite of food lovers for its high nutrient values. Rich in vitamins and minerals and especially Omega-3 fatty acids it is now being preferred to meat among non-vegetarian dishes. 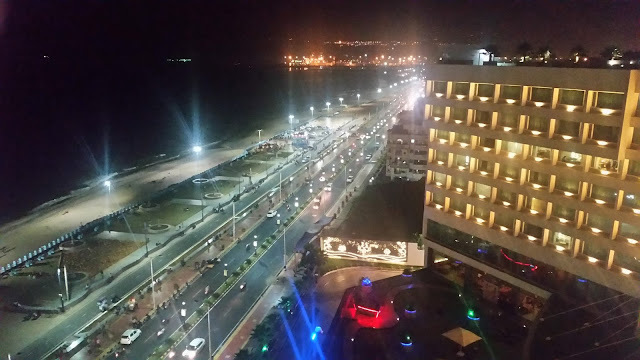 And this latest trend has led to many promotions centred around seafood or coastal cuisines. 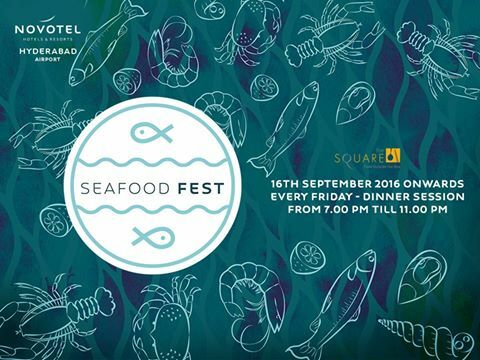 The Seafood Festival at The Square, the all-day dining restaurant at Novotel, Hyderabad Airport is a step in this direction. 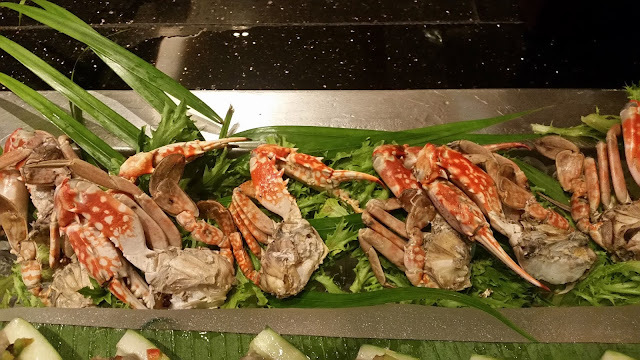 A humongous range of seafood preparations have been lined up for the promotion. Recipes have been culled out both from Indian and international cuisines, and the dishes presented in an attractive fashion. The promotion is part of the Friday dinner buffet, so apart from the aqua delicacies, you also have the usual spread mainly aimed at in-house guests who may not be seafood aficionados. Invited for a preview buffet of the festival, my attention was immediately drawn to the seafood live counter. 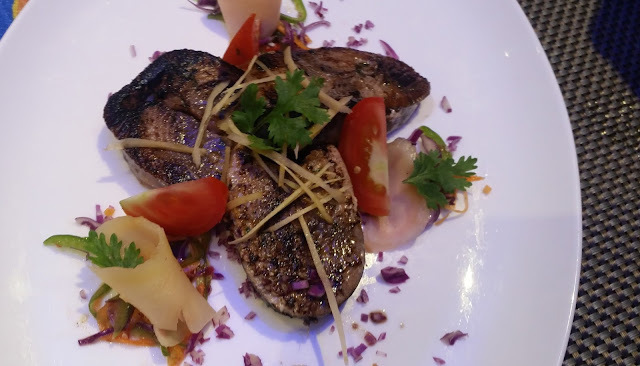 The display here had prawns, squids, tilapia, pomfret and king fish among other seafood marinated in different interesting marinades – Hariyali, Chettinad, BBQ, and Oriental among others. 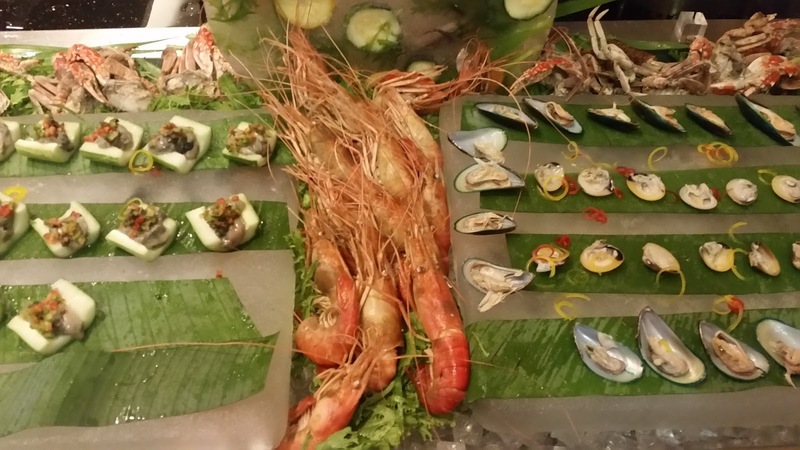 The presentation at the counter was extremely appealing with some of the seafood tastefully decorated in bamboo stems and others on ice stands. On the other side, there was a salad bar replete with cold seafood salads. There was crab, scampi, and oysters along with assorted veggies and even meat. 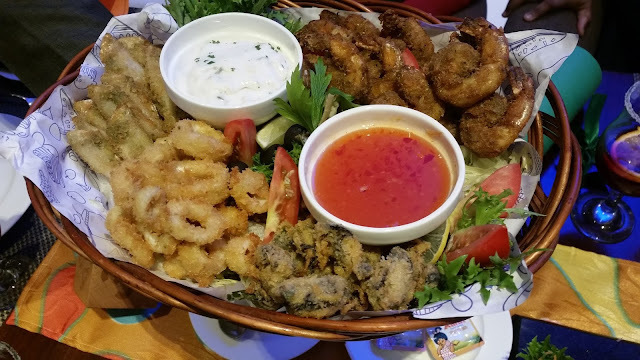 We started our sojourn with a mixed seafood platter from the live counter. There were Prawns with BBQ Sauce, Squids in Butter Garlic and Crust Fried Anchovies. The marinades were all adequate without being overwhelming, retaining the taste of the seafood. The platter was served with sweet chilli dip and tartar sauce. 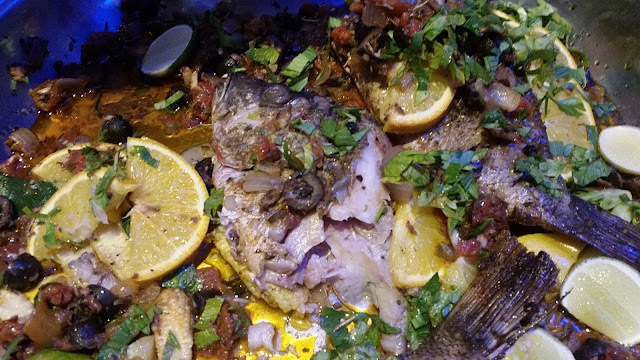 Grilled food is always a major highlight in any seafood festival. Chettinad marinated Rohu Fish was one of the items showcased. Since I am not a big fan of Rohu, I asked for some prawns to be made with the same sauce. Though I will not call the black pepper laden masala authentic, I still enjoyed the dish. Tandoori Barbeque Prawns were presented in a bamboo stem. There was some delicious mint chutney with it which augmented the taste of the dish. King Fish Steaks in a marinade of Mangalore spices was a hit with my friends as the fish does not have too many bones. 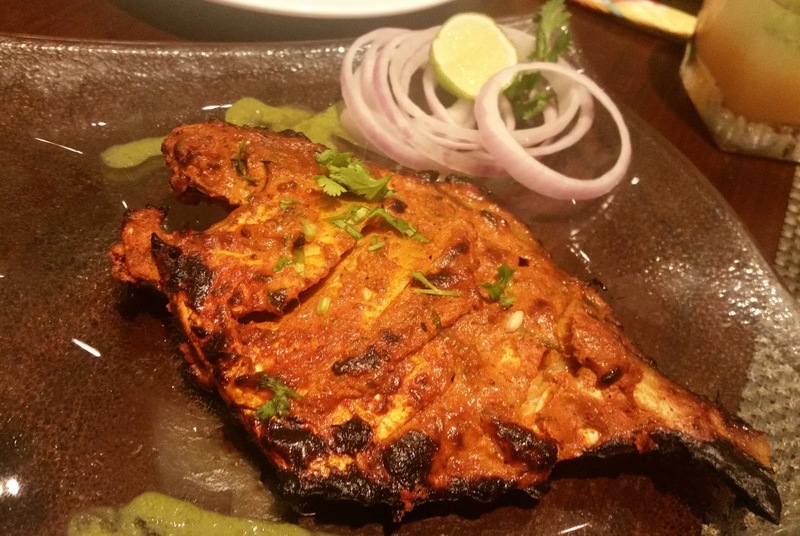 My favourite item for the day was Tandoori Pomfret, a whole fish the look of which itself set us salivating. Pomfret is a flat shaped fish and it soaks in the marinade well if you make a few small cuts on the body before marination. Today, the juicy fish was done up just the right amount, and I was really glad that the taste did not belie the looks. 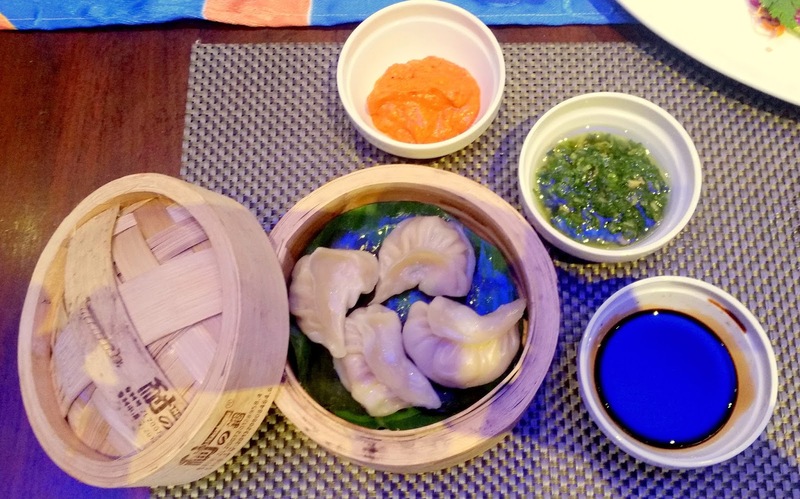 A plate of well stuffed Seafood Dumplings with an assortment of dips brought in a welcome change at this point. 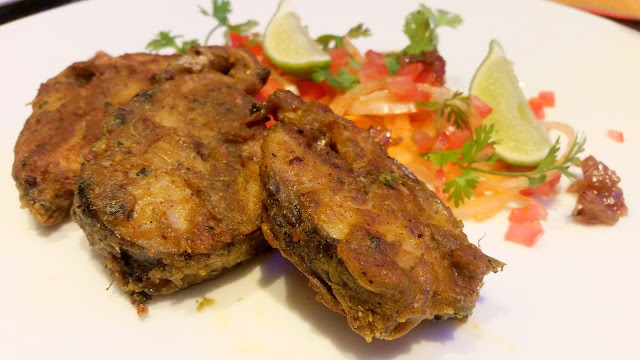 Patrani Macchi is a signature Parsi dish, where boneless fish is soaked in a green veg marinade, mainly of coriander leaves and mint. The fish is then wrapped in a banana leaf and steamed. This fish preparation here was again another highlight of the day, and I could not resist a second helping of the same. After excessive feasting on the starters, I was forced to go slow on the main course, and could not try out many of the dishes. 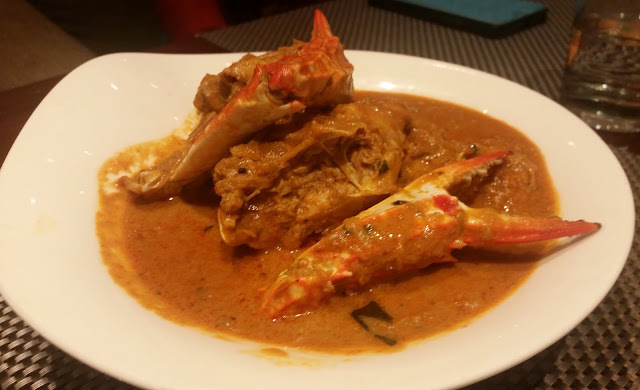 The two dishes here which I really enjoyed were the Goan Crab Curry with steamed rice and Prawn Biryani. The Thai Style Steamed Fish with Sweet and Sour Sauce was adequate. Red Snapper with Tomato, Olive and Onion looked enticing, but the bland taste belied the expectation. I skipped the desserts and ended my meal with some exceptional tea from the tea counters which is a hallmark of the buffet of this restaurant. Whenever you visit The Square at Novotel Airport, trying out the varieties of tea is a must. 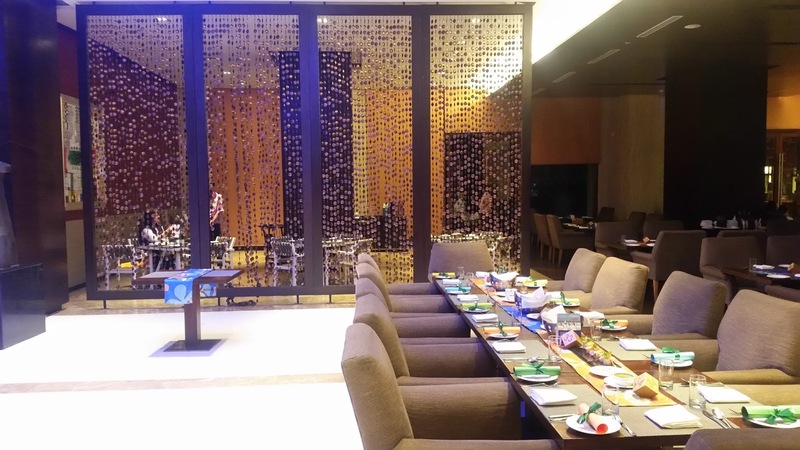 The buffet is priced at Rs 1849 (plus taxes) and is available every Friday evening from 7:30 pm.